Last week budget padding, activities of militants and terrorist and killings by herdsmen took centre stage in the news, all full of doom and gloom as to make one wonder if there was anything positive happening in our country. Yet amongst all these atrocities the Federal Government last Monday 1st August recorded a remarkable feat by all standards as it signed a renegotiated Concession Agreement with Global Steel Holdings Limited (GSHL) both with regards to Ajaokuta Steel Company Limited (ASCL) and the Nigerian Iron Ore Mining Company (NIOMCO). It is common knowledge that there has been a long drawn out dispute over Ajaokuta Steel which started 8 years ago when the agreement between the Government and GSHL was terminated. Now Ajaokuta Steel will revert to the Federal Government fully, while its sister company, NIOMCO would be retained by GSHL but with Ajaokuta plant gaining priority access to its iron ore.
A study of the history of ASCL shows how long we have known of the large quantity of iron ore deposits we have in this country. In 1967 the development of our steel industry was considered to be such an integral part of our process of industrialisation that the Government commissioned experts from the Soviet Union (as was) to carry out research on the iron ore deposits in the country. Thereafter the Nigerian Steel Development Authority was established in 1971. Subsequently on 18th September 1979 ASCL was established as an integrated iron and steel complex with the task of constructing and operating an integrated iron and steel plant at. The steel complex was planned to be commissioned in three phases. The first phase was designed with an output of 1.3 million tonnes of liquid steel per annum, with the second and third phases planned to increase output to 2.6 and 5.2 million tonnes per annum respectively. However, the good intentions envisaged by the setting up of ASCL have not reaped the dividends invested in it. The dispute which culminated in last Monday’s signing of the re-negotiated Concession Agreement started on 29th October 2007 when the government set up the Administrative Panel of Enquiry into the operations of ASCL, the National Iron Ore Mining Company and also Delta Steel Company. The then Minister of Mines and Steel Development, Alhaji Sarafa Tunji Ishola appointed and inaugurated a panel chaired by Mallam Magaji Inuwa and its mandate amongst others was to examine the Concession Agreements and share Sale and Purchase Agreements between Global Infrastructure Holdings Limited (GIHL) and the Federal Government (FGN) and to recommend measures to be taken by the FGN to actualise the objectives of Nigeria to be a leading steel producer in Africa. The panel recommended the immediate termination of the Concession Agreements of ASCL and NIOMCO with GSHL by the FGN as they felt the agreements had largely failed to meet the purposes for which they were contemplated and that they were not in the overall interest of the nation. 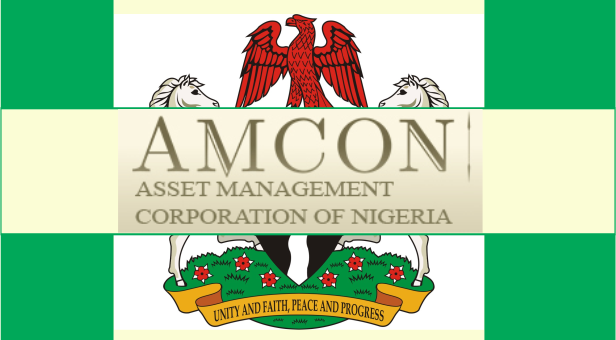 Furthermore, in December 2009 the Ministry of Mines and Steel Development went into an agreement with Reprom Company Nigeria Limited to carry out a technical audit of ASCL while Koch Nigeria Limited carried out same on NIOMCO to ascertain the status of the plants and undertake their valuation. In 2010, I was a member of the Presidential Projects Assessment Committee (PPAC) that thoroughly assessed and made recommendations on Federal government projects and one defining factor I noticed during the course of working on the Committee was the surprisingly high number of contracts signed by government in which the country’s interest was not jealously protected. Indeed, more often than not the contracts appeared to be skewed in the interest of the other party. It would appear on the face of it that these contracts when signed are not intended to be abided by and therefore can be easily terminated. I have heard of a foreign entity taking out insurance over a contract it was entering into with the Nigerian Government in the event of change of policy or government or force majeur. Another reason why this settlement over ASCL is particularly timely is because a well-known international journal, Australian Mining has reported that iron ore is the best performing solid mineral of the year, making great gains in value year-on-year of some 40% and up to 60% above recent historically low prices. We therefore have every reason to drive wholeheartedly for the resuscitation of ASCL in all it is ramifications it is a win-win situation for all parties concerned. Generally, mediation comes before arbitration but interestingly in this instance the settlement process started with arbitration and thereafter the parties switched to mediation which took four years under the auspices of an independent mediator in London, Mr. Phillip Howell-Richardson. The Federal Government team was led by the Minister of Solid Minerals Development, Dr Kayode Fayemi, whose ministry is responsible for the steel sector in conjunction with the Ministry of Justice, while the GSHL team was led by its Chairman Mr. Pramod Mittal. With the receipt by President Muhammadu Buhari of the reports of the mediation from the Ministry of Justice he gave approval for the execution of the modified concession agreement with GSHL. This led to the signing of the Modified Concession Agreement for the Nigerian Iron Ore Mining Company (NIOMCO) which was held at a short ceremony presided over by the Vice President, Prof. Yemi Osinbajo SAN, in his office at the Villa last week Monday. The Minister of Solid Minerals Development, Dr. Kayode Fayemi, signed on behalf of the government, while Chairman of GSHL, Pramod Mittal signed on behalf of the company. In attendance were the Minister of State for Solid Minerals Development, Hon. Abubakar Bwari, the Independent Mediator, Mr Phillip Howell-Richardson, Mr. Divyesh Mittal, Sandra Kucinskaite legal adviser to GSHL, Mr. Augustine Alegeh SAN legal adviser to GSHL in Nigeria, Mr. Olawale Fapohunda, Mr. Tunde Ogowewo, top officials of the Ministries of Justice and Solid Minerals Development and a number of others involved in the transaction including my good self all witnessed the signing ceremony. Speaking at the signing event, Prof Osinbajo SAN hailed the mediation process that led to the resolution of the problems that have made it impossible for the two national assets to be functional for years. He noted that ‘It is one of the cases of failures. It is a tragedy of immense proportion that we have both Ajaokuta Steel Complex and NIOMCO and couldn’t get anything out of them for years’. The Vice President further added that making the entities work was a top priority of the administration and urged GSHL to keep to the various timelines in the agreement in the spirit of mediation; That it was important the concession worked so that Ajaokuta can take off too’. Dr. Fayemi in his remarks said stated that ‘it is our expectation that we would accomplish two things, bring NIOMCO to full function and start the process of taking back Ajaokuta and then give it to a new operator. With this, we will move from being just a mineral nation to a mining nation. Once the first phase of the agreement is accomplished, it is the intention of the FGN to quickly move into accomplishing the objectives of concessioning the Ajaokuta Steel Plant to the most competent operator who meets the requirements of credible track record, technical capacity and financial competence’. Dr. Fayemi further noted that ‘overall, we are confident that this landmark settlement is a pointer to what to expect in the Government’s determination to fix the Nigerian mining sector. This is one of the key milestones in the Road Map for the growth and development of the Nigerian mining sector. The GSHL Chairman, Pramod Mittal, in his brief remarks said his ‘organisation was committed to the objectives of the agreement and guaranteed supply to Ajaokuta plant and Delta Steel Company, after which it would sell what is left to other interested parties’. He assured the government of its readiness to commence operation soon, adding that in the next two years Nigeria would begin to produce steel. It is an often used maxim that mistakes are repeated until lessons are learnt. The Ajaokuta Steel saga constituted one such dreadful mistake. The loss of industrial growth, business, income and massive job opportunities has, for so many years, been a most painful one for us as a country to have to endure. Now that the mistakes have been corrected and lessons duly learnt, there can be no turning back with regards to Ajaokuta Steel’s focused and overdue development. What is more, with the same effort and enthusiasm I believe a good number of Federal Government contracts could be equally beneficially reviewed. Finally, with this settlement, the steel sub sector is on the way to being revitalised and some day we can confidently say that we are indeed on the road to the development and diversification of the solid minerals sector according to the plans of the President Muhammadu Buhari administration.